The Ambulatory Care system has exceptionally trained Family Medicine Physicians and Obstetricians to guide you through your pregnancy and delivery. Care for high risk pregnancy is available to those in need of such specialty services. Mothers are walked through all stages of their pregnancy and the development of their baby through our unique counseling program. We provide information on nutrition, exercise, what to expect during delivery, and the care of your baby. 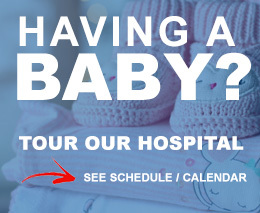 Babies are delivered at Santa Paula Hospital and Ventura County Medical Center, both designated as Baby-Friendly Hospitals, a distinction held by less than100 hospitals nationwide. We look forward to caring for you in this exciting stage of life!